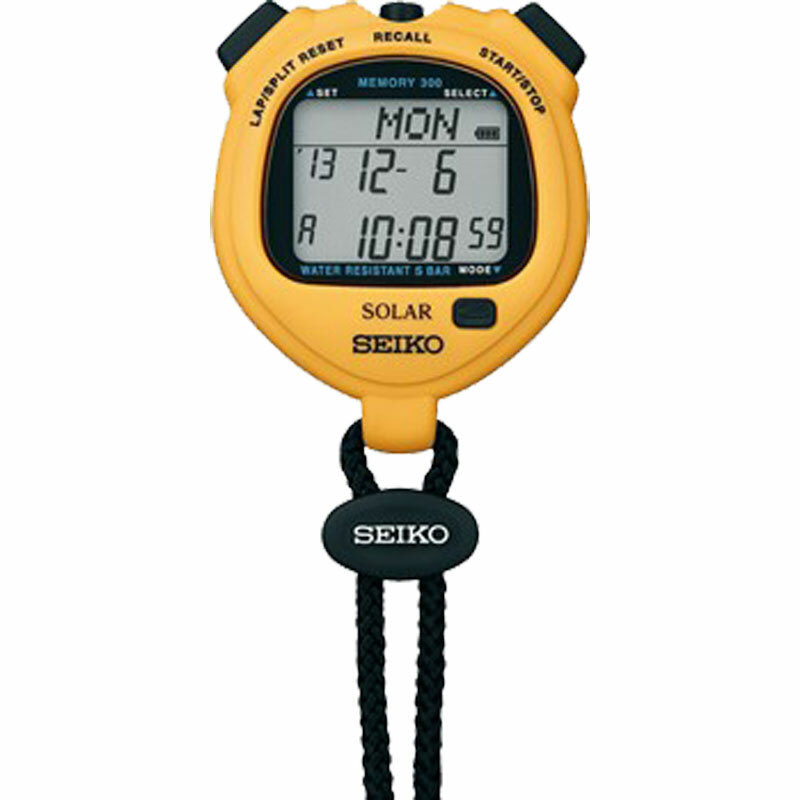 The SEIKO Solar S061 Stopwatch is a solar stopwatch featuring a lap time/split time memory function that can store and recall up to 100 lap/split time data. A time/calendar function is also provided. In addition, the Seiko S061 has a double repeat timer function.